Why winning this Award feels so incredibly Special ! 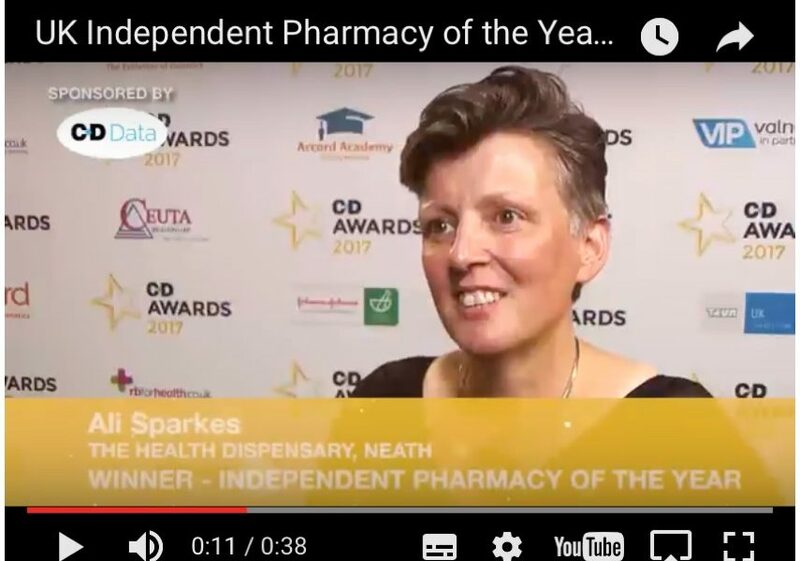 I’ve been reflecting on a month where we achieved the amazing accolade of “Independent Pharmacy of the Year 2017” pitched against remarkable businesses from across the UK. At a fabulous Celtic Manor event, we had to wait until after dinner to hear the prize winners. When the best pharmacy award came along, I felt strangely relaxed but on hearing our name felt the wind had been taken out of me. It wasn’t the usual response! We’ve entered awards since the late 80s as it’s a great way to benchmark your own performance and to learn from other pharmacies. 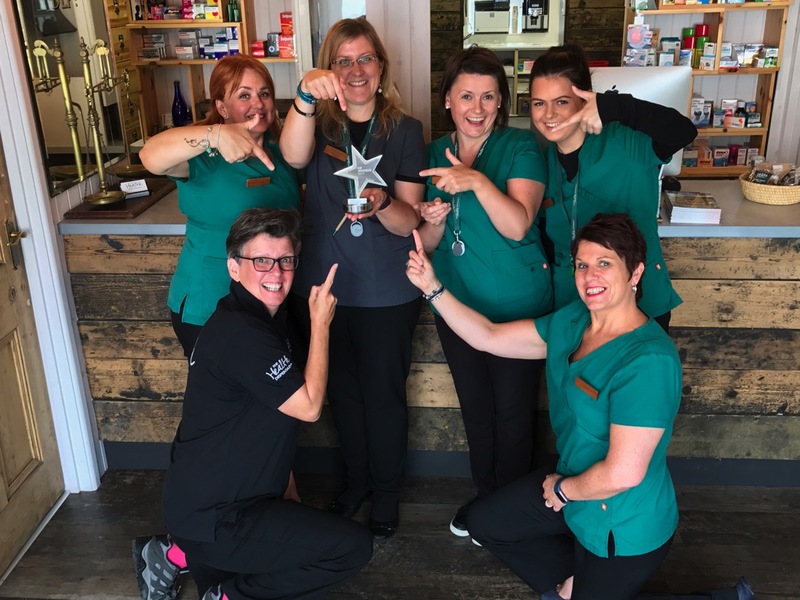 It also gives the team of a local Independent Pharmacy such as ours a sense of purpose and pride as they work in smaller teams than internationally owned companies such as Boots and Lloyds. Over the Years more awards have come to the market and sometimes it seems people can win an award simply for turning up. That’s why we stepped away from them after my win as Community Pharmacist of the Year in 2012. I didn’t want to devalue that achievement and also whilst we’d reached the summit, I knew we had lots of groundwork to do, to turn into the business I’d always dreamed of. From 2012 to 2015 I devoted my time to our newly opened wellness clinic whilst also studying a post-graduate Coaching qualification and enrolled on LEAD Wales, a business development programme run by Swansea University. With the business expanding in so many directions, this path of study and frequent absence from the business helped me to really focus on what I wanted to do and what the business needed. We went through some major pain as a team with maternity leaves, redundancies and retirements whilst making the changes needed, ceasing our care homes contracts – restructured and refocussed on what has always been our core strengths of health services and self-care. With the help of a branding expert at Rose Innes Design, we finally arrived at The Health Dispensary brand and then set about transforming our premises to match. The design process was a labour of love! and so many revisions until we arrived at something I thought would look like the brand envisaged but also work efficiently from the Pharmacy perspective. The project took around 2 months in 2016 and unfortunately during this time my mum’s health worsened and she passed after a long hospitalisation without seeing the finished project. She knew how much my work meant to me- often telling me in latter years not to work so hard, but it was in my bones! Both my parents were hard workers and encouraged my brother in his appliance repair business and me in pharmacy, to do the same. My mum always said there’s no such word as “Can’t” in the English dictionary. As I got up to walk to the stage, I felt her presence close to me and it was the most emotional award ever collected, it brought some closure to 18 months of turmoil, a well-done from the national judges and perhaps from beyond? It certainly felt that way. When I first started working I was very much of the opinion that work was the focus and you put your emotions and personal life to one side. I probably appeared harsh and demanding at times. I still believe that the Customer and our work are our priority but I see a great advantage now in bringing your whole self to work. Life happens, even at work! and having empathy for our customers and colleagues makes us better human beings and better professionals. Emotional Intelligence should be a priority in our workplaces especially with mental-healh coming to the fore. I’m so happy for the team, for all the hard work they’ve put in over the last 18 months and all the changes they’ve endured, still coming out smiling. I’m now happier at work than ever with our work family and grateful for the support they’ve given not only to me but each other. Our #feelgoodliving ethos, integrates physical, mental and other aspects of living a Healthy and fulfilling life. The future will be about putting this spirit and belief into practice, and in a very real life setting – community pharmacy is hard to beat for that! Now I feel we have the approval, the resources and the right people to make it happen.